Welding RoboticsDrastically improve welding consistency and quality while reducing production time. Painting RoboticsPrecise control over paint finishing throughput, consistency and quality. Polishing RoboticsCut cycle time while increasing accuracy and surface quality with robotic polishing and material removal. Material Handling AutomationDiscover a safer, faster way to handle order picking, pick and place, dispensing, packaging, and palletising. Palletising RobotsRobot palletisers increase end-of-line productivity, safety and pallet stability when loading bags, cartons or drums onto a pallet. Food Processing RobotsFood processing robots handle complex tasks hygienically and consistently, boosting safety for workers and consumers. KawasakiRobots for all manner of applications across a variety of industries. Servo-Robot Vision SystemsVision guided or assisted robotics enhance the flexibility and capability of any given process. Pro-faceThe experts’ choice for programmable touch screen interface panels. NittaNitta, has provided RTA with an exemplary range of Swivel Joints and Tool Changers. KyokutohKyokutoh Tip Dressers are not only effective, they are fast! BOCBOC and RTA can ensure the best welding fit for your automation system. It was saddening to witness the last Australian-made Camry roll off the Toyota’s production line this week. 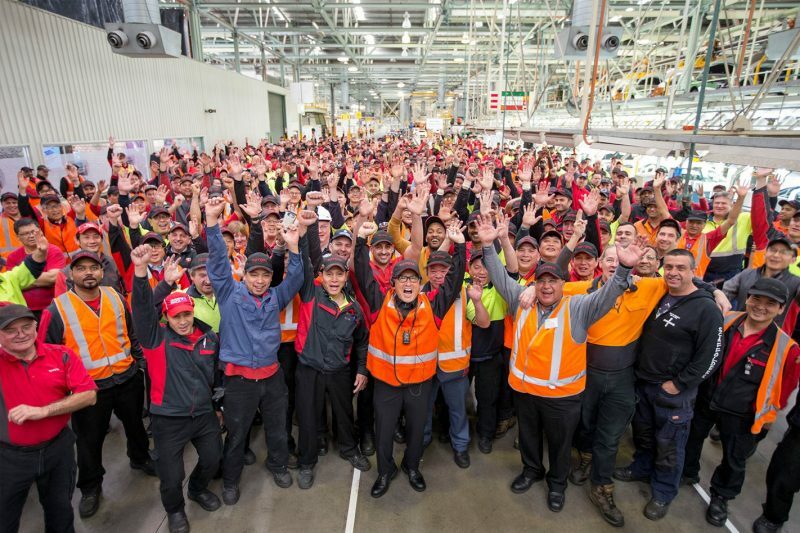 For the past three decades, the team at Robot Technologies-Systems Australia has been fortunate to work with an exceptional group of people at one the best performing Toyota plants. As sole supplier of Kawasaki robotics systems for applications that included welding, cutting, painting and materials handling, we were privileged to have played such an integral role in Toyota’s operations. The entire team at RTA wish all workers who have lost their jobs every future success and hope that they find new employment soon. It was an honour to work with you all!